GE Centricity EMR offers physician offices an ambulatory EMR that integrateswell with revenue cycle, patient management, and practice management solutions. Work for Centricity Practice Solution? "Centricity helps your practice be the best it can be!" The flexibility of the system to fit all types of offices and specialties. No matter if you need to bill physician charges, dental or anesthesia, the system assists staff to be successful. The system has the ability to modify to users workflow and not the other way around. A more intuitive way for providers to enter their orders. I'd like for the system to know when a result is entered that it should automatically put in the order for it. Entering orders is easy but I would like the system to work smarter and work for the provider. If you want a flexible system that helps your staff be the best they can be, and working much smarter, than this is the system for you. Centricity helps staff to "do the right thing, the first time"! Saving you time and money. On the billing side, we have significantly decreased our days in A/R, the ability to scrub and, when necessary, correct/resubmit claims quickly has assisted us with the quick turnaround. From the EMR side, this is the only system that worked with our workflow, no matter what a provider needed we are able to adjust the system and forms to accomplish the task and make their charting as accurate and quick as possible. "GE Healthcare Centricity Practice Solutions Review - OB/GYN Practice"
My passion lies within the revenue cycle arena. With this in mind, I am pleased with the process of getting encounters through the system and paid. The scheduling component is very good, easy to setup and use. Centricity Analytics is also my best friend. I want to be able to run reports on various elements and this application allows me to do so. The patient portal is excellent too. Easy to use for patients. We also have online bill pay and many other modern features. The greatest issue is the fact that we are not on a cloud based system that would allow for more abilities with the web and interfacing. It is coming soon with Project Northstar but it can't get here fast enough. I believe there is still room for improvement when it comes to form utilization and workflow processes. The product is fully functional for any medical practice. It has all the components to be compliant with the ONC and other regulatory processes. "GE Centricity CPS & EMR"
The system works. In 6 years the amount of downtime is probably 6 hours. 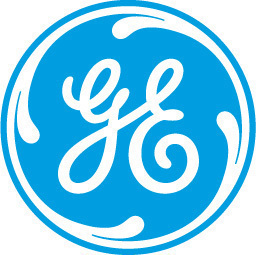 I have worked on or consulted with over 10 PM systems and GE is one of the best. There are some problems and preferences that I have or that are orthopedic specific that we could improve on, but there are some sacrifices that must be made or are just quirks of me. I dislike that in many of the data entry field areas (payments, charge entry, etc.) that you cannot do a heads down data entry without using the mouse. This slows done the process for fast keying of data, along with the fact there is inconsistency as to when you tab vs when you use the arrow keys to move fields. There needs to be a better method for viewing patient payments in the Billing/Financial screens and seeing how many statements have been sent out to a patient. The Reports have a lot to be desired and are almost worthless, so we outsource a monthly data dump to a 3rd party to get very effective reporting. The scheduler setup functionality needs a MAJOR overhaul...once setup its fine...but with multiple providers & locations & service types that change frequently it is an overly difficult process to make even the simplest change. Would recommend as a good solid solution for a mid to large sized practice. Centricity helps us bill & chart patient care. We are able to manage our business with a normal number of employees. The ability to create forms & workflows & integrate with 3rd party solutions that benefit our practice or specialty operation is very useful. I like that it plays well with others. "GE Centricity user for a long time and still happy with it." The system is very flexible in how you can use it. It allows you to tailor the experience to your clinic and not to a boilerplate template that other EMR's use. Sometimes the best thing is also the worse thing. It can be confusing how to do things in the system unless you have a great training policy to make sure that end users are using the system in the way that your practice wants it to be done. Centricity is a great product out of the box and you can make it even better by being able to configure it and make it work for your clinic. I have used it with over 20 different specialities and it worked great with all of them. We use the system for a variety of things, such as Research, Patient Treatment, Financial data and employee productivity. We have been able to collect and process thousands of patients for a clinical research database that helps us better treat our current patients by being able to see what treatments are showing the best results. "Centricity Practice Solutions (CPS) is the right solution for our practice. " Centricity Practice Solutions or CPS has provided us with a platform for a vertical build. It has seamless interoperability. It is a flexible system that allows you to develop the workflow that works for your practice. Our EMR and PM are connected. We do not need to have so many add on products -- such as superbill for capturing our office charges. Yet, the system allows us to add on products to automate many processes. The system continues to allow us to use progressive technology, such as capturing patient histories, and faxing office notes out every night to PCPs. Centricity EMR has greatly increased the practice productivity and assist the physicians in providing quality office care. In order for a system to be flexible it can be complicated. People want out of the box solutions for complex medical practices and that just doesn't work. When I talk to someone who is complaining they have not set something up correctly. We spent the time and resources to build a workflow that works. The end result is we see more patients with much better documentation. But to build that custom workflow took time and money. End results we have a product our providers and staff like. One item we don't like is how spell check works on the system, we think this could be improved. Our Account Receivables are outstanding, we break every benchmark and have very high results. Business problems like tracking with plan need a authorization, insuring the insurance verification is completed, posting payments quickly and identifying underpayments. On the Clinical side the system has observation terms which allows us to track data. Observation terms is a very powerful tool that allows us to not only be more productive but able to produce outcome results. CPS can be as complex or as simple as you would like. We are a high technology driven office. With CPS and GE support we are able to interface many different aspects of our office, from front desk check in pads (Phreesia), to processing CLIA waived laboratory tests (AlereI), we've got it all interfaced and are extremely happy. I love the user group meetings, with the CHUG (Centricity Users Group meeting) being my favorite. Centricity LIve, has all the GE solutions in one place, but can get overwhelming with all of the products together at one time. Centricity is always looking to the future. With Project Northstar coming in the future, I know Centricity will be taking us to even higher steps. There is not one software that can customize to each individual clinic needs. With CPS they have partnered with several businesses that offer direct interfaces to allow you the options to customize your experience to gain the upmost efficiency in the office possible. Mastering the patient flow became possible for us by allowing our unique floor plan to utilize different programs to make us quality driven while being fast, efficient and offering our patients the best possible healthcare in a modern setting. What I like best is that you can have multiple components up at once (schedule, patient registration info, billing tickets, etc. That way you can work on one thing and keep a previous window up if you are in the middle of something. On the flip side, it sounds like the Centricity cloud interface is going to have an updated look and feel. We have a large volume of patients making appointment with us. We have benefited from the simple intuitive interface that Centricity has. "The best of Centricity CPS"
Centricity and GE are user-friendly. Ability to deal with only one vendor for all the functionality. ease of interfaces with other products like the EKG and spirometer and registries. Not cloud -based. Having to do updates and upgrades on our own when we are a small practice with limited IT support as IT support adds to the cost. This is a great user-friendly EHR that meets the needs of users. EHR from a progressive company with great support, EDI and built-in practice management. An integrated program where your needs are met through one vendor. Ease of documentation allows for efficiency of patient flow and billing. Easy direct billing from office visit and ability to scrub claims prior to their going to the clearinghouse. Centricity EDI provides an efficient way of sending out claims and receiving electronic ERAs. So efficient note recording and efficient billing. "Flexible and Configurable PM and EMR without having suffered over the years with feature creep"
With on on-prem solution, having direct access to DB is helpful and the DB is very well documented, making data migrations or report creating easy. The systems flexibility with different workflows. It's very configurable without suffering from feature creep. If you don't want to use a feature it doesn't get in the way. The GUI. Centricity could really benefit from a modern interface. Increased efficient in our billing and collections workflows, especially when put up against our older application. Same on the EMR side, the benefits over paper based workflows is easily measurable and it's leaps and bounds more efficient. 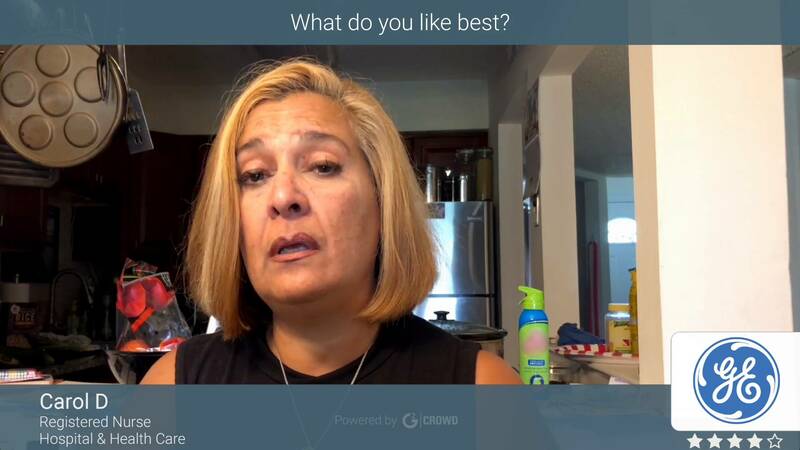 "My favorite EHR as a Labor Nurse"
After using 4 other EHR systems for patient data, I have a well-rounded knowledge of different systems and Centricity (or CPN) is incredibly user friendly, easy to navigate and intuitive. Honestly, I can’t think of anything. It rarely crashes, it functions flawlessly in the capacity we use it in. It is obviously created by healthcare providers because it flows really well and just makes sense. It provides us with an excellent EHR to document and store patient data and it communicates well with Meditech. "Great for scheduling and registration tasks"
The patient registration task list is very useful to ensuring that all information is accounted for and completed. "Have enjoyed CPS for 15 years"
Ability to customize the software to meet our clinical workflows. Great staff reducer based on ability to create custom workflows and content for providers in house and not submit changes to the vendor. Some business office workflows could be improved/streamlined. Administration settings can be redundant. While setup and design are time consuming, we have realized a huge gain in efficiency thanks to CPS. Able to quickly and easily document urgent care visits using templated EMR notes. Able to treat injuries and illnesses with minimal points of contact due to workflow customization that reduces extra staff. "A true Medical Accounting System!" This system is by far one of the best on the market and I've worked on over 20 different platforms! The patient account balances take into consideration credit balances unlike claim based systems which can send out statements that are incorrect. CPS also has an analytic reporting cube that can pull any information housed in the system. I wish everyone could be a direct GE client and not have to use a re-seller. The re-seller's aren't as responsive as GE. This system is the total package. For publicly traded companies, a system needs to have the reporting capacity to satisfy the accountants. This system isn't claim-based so the statements go out reflecting all credits on the account which is so important for the patients AND the physician's staff. Best feature is the access to real time information - no matter at which location staff or patient find themselves. The scheduling component needs work. Building schedule templates and making schedule changes is too tedious. Changes to the schedule can't be made on the fly. The product is robust, but requires much thought about workflow and process. Also, I recommend rolling the modules out in stages. Service orders have eliminated much of the "back & forth" between coders and physicians. I like that this software is an all in one package that has everything you need. With this software you can schedule patients, enter charges, print medical records, post payments and bill claims electronically just to name a few. The reports this software can create is extremely useful and helps us track codes and payments. The reports can be very customized to what you need. There is nothing I dislike about this software. This software is definitely worth the price. Be sure to get all that it has to offer for the most beneficial package for your practice. We use this software for all of billing needs. With this software we are able to bill out our claims and receive payments from those claims electronically. This software does it all. This system is easy to navigate and simple when it comes to writing notes. The formatting is also nice without being over cluttered. The business problems we are solving is the lack of patient follow up due to the way that the hospital transcripts are formulated. The benefits that we realized is the ease with which we have been documenting. It would be nice if the two of them could work together. "Centricity Practice Solution and Our Partnership with GE Healthcare IT"
We enjoy a strong partnership where our questions are rapidly funneled to a talented individual, or working group, where GE helps us to understand the underlying processes and impacts. GE put us in contact with an innovative healthcare team who were beta testing Healthcare Connections. Positive feedback gave us hope of a better way forward. EMRs are still compliance driven, transactional code driven tools that require the provider to work harder for the system. Making significant progress with analytics. For example, when statewide Medicaid insurers changed unexpectedly, a quick report provided the necessary information to contact affected patients in advance of their procedure, minimizing revenue impact and patient dissatisfaction. "Centricity it the best PM system I have found for effectively managing an Accounts Receivable." I like the ease of sorting through claims and their statuses. Extremely user friendly.. Very little automation. TOO many add-ons that come standard with other products. Server based and can move pretty slow comparatively. Centricity is very manual compared to other products unless you add different bolt on products which could then become quite pricey. We have used Centricity to keep A/R to a minimum. If used properly. A/R days of 20 or less is achievable. "Busy Ophthalmology Practice using Centricity"
The ability to create custom clinical content for point of care templates. Not too much that we don't like. The system is pretty flexible and has allowed us to attest for MU for 5 years. We also didn't lose any productivity. Quickly able to manage our patient population with evidenced based reports. Analytics gives us the tools to manage our productivity and utilization better than we have been able to in the past. Easy for our doctors and practice managers to use, very customization and scalable, not difficult to support once our users are properly trained. Relatively expensive to support, 3rd party consulting is needed for most practices to get the most out of the system (unless there's a dedicated in-house team which many smaller organizations simply cannot afford). GE seem to be pushing organizations to the cloud version, but that's a trend everywhere nowadays. Easy to approach, simple interface that seemingly to support almost any scenario you can throw at it. Eases the workflow and stress that comes with large patient volumes. Centricity Practice Solutions allows healthcare organizations to achieve an environment of patient-centered care; focused on improving patient outcomes while providing a positive patient experience, and reducing the overall cost of healthcare. Limited practice management reporting compared to EMR reporting capabilities. Our organization has realized efficiencies in clinical administration which has allowed us to grow our patient services and offerings, as well as efficiencies in on-boarding and departmental cross-coverage. In addition to internal gains, the practice has realized incentive payments as a result of reporting meaningful use of EHR technology each year since Go-Live on the CPS platform, in 2011. It has most functions that are necessary for a working EMR. IT can customize its function with other softwares (CORES as we call it at UW). Can draw up pt data in printable formats when needed. Not being able to use many hotkeys within the software itself, sometimes a page will pop up that you can't click away from until you are done with that specific page even though you need to look up certain values from other pages. It has a dot-phrase system that could be more fluid and customizable (can't nest certain prepopulating fields within commands). It just feels slow and clunky at times when you go from page to page. The user interface is not attractive or inspiring. The problem I'm solving is related to dispensing of healthcare to patients. It has preempted paper charting and orders, but is clunky and can take too many clicks and redundant useless check points to get to where I need to go. "CPS Not working for us"
Ability to integrate with third party products to enhance features not otherwise available. Updates are released with known bugs. Support it not direct with GE, must use VAR that is not staffed enough to handle issues. Many issues are categorized as "Known GE Centricity Issues". Third party products are a must just to get meet minimum function. Focus does not seem to be on smaller practice use. Expensive. Every upgrade includes costs. VAR lost files in our last upgrade and requires us to pay for their loss. "Great solution for medical billing and reconciliation"
I primarily use Centricity to view attachments such as insurance cards, however the platform is much more feature-rich than I know. As an EMR, the interface is beautiful. We use Centricity in another office that I rarely contact, but I'm able to find what I need quickly and easily. I dislike needing to search through many organizations' records when I only need one office. We have a large organization. When I look at documents in someones chart, I see everything from every physician. While it is possible to only show one offices information, each time I have to find our office on a list of 30+ departments. If I was able to add a "favorites" portion, to where my most frequently used offices would show up first, that would be helpful. I use centricity to help communication patient records to pharmacies that need the information in order to fill an rx. Our problem is that these communications take up lots of time and money. Centricity helps solve that by allowing us to find the info we need quickly and electronically send that information to the other providers/pharmacies that need it to fill the rx. "Good for confidential information management"
I've used it at my internship at a large hospital for a few months, and while I thought nothing of it while I was there, when I switched to another facility I realized that Centricity included a lot more fields for more detailed information. Even though it was quicker to input information in the other program, ultimately, Centricity provided a more useful report when looking back. The aesthetics are very basic with screens popping up and data entry. Reminds me of Windows 2000 or 1998 even. Nothing too pretty about it but it does the job. Entering patient reports and information for diagnostics and assessments. "Not as good as Epic but not bad for outpatient clinic"
Having worked primarily with Epic prior to starting my new job that uses Centricity, I have to say that it was a downgrade to use Centricity. However, it's not a bad option and has the basic features of a good EMR. It has a good summary page where improtant information is listed. I also like the inbox where results are populated. I don't like information from previous notes cannot be auto populated into your new note. Also, this might just be an issue with our internet connection, but I find the speed of the system to be pretty slow, especially when sending prescriptions or printing. If you buy the product, make sure you have them review it and customize it to your practice and practice needs. In my opinion, it's not as good as Epic, but Epic is probably considerably more expensive, so this isn't a bad alternative. The ability to customize our encounter forms has been key for our practice. Being able to provide additional services to our patients is not held up by restrictions from our EMR. If we need a new form we build it. Support is also very responsive on any issues and questions that we have. The product has small bugs from time to time. Submitted to support is easy and they are honest with issues they are working on. With Centricity Practice Solution we are able to customize the encounter forms for our practice. In the event that we need a new encounter form or need to change specific text or codes we can do all of that ourselves. "Centricity - EMR could be much better"
I like that you can see a history of assessments of problems. I find it really easy to look through the history of a set of problems. I like that we can send Portal messages as well. I dislike that it is slow and often has a lot of bugs. My IT at my work has had trouble communicating with Centricity EMR to improve functionality. It often crashes with updates to the product. There continues to be glitches like changing of printers to different locations. There are too many places to click buttons and too many places to find where you need to click the buttons. I use this for documenting patient encounters since I am a physician at a community health center. This is the way we communicate at work and it mostly does the job we need it to do but we just run into a lot of crashing. Centricity is pretty user friendly. It is easy to search for a patient and find information with several different combinations of information. There is not an easy way to verify insurance for the patient through the Centricity portal. This makes insurance verification VERY difficult. this is a portal for office use only to keep track mainly of patient insurance, billing and demographic information. "Like any EMR, pros and cons"
After using Centricity for over a year, I've gotten familiar with this interface, and can now navigate it fairly well. It has taken some time, but I can explore and discover effective ways of managing patient panels without messing too many things up. I'm not sure if this is the software or the network we are on, but my coworkers and I typically get "kicked off" of the network several times per week. This can be seriously disruptive to workflow. I don't have a ton to compare it to, but Centricity appears to be an EMR that meets the standard for user friendliness. Having an EMR is incredibly important in the healthcare field. It allows us to have all of the information we need at our fingertips, creating an overall better patient care experience. It allows for better communication between providers, and minimizes (but doesn't eliminate) errors and breaks in continuity of care. Frequently miss the mark on scheduled update/upgrades of bug fixes and new features that are sorely needed. It's program is easy to read. You can edit some features and what not but not as much as I'd like. I'd prefer different colors just for my eyes sake. It's very reliable though. I don't like that it can't work with newer browsers. I can't run most Microsoft updates because it crashes the system and then patient care is effected. I've used both Centricity and Epic EMR and I think Centricity is probably the smoother of the two systems. It's very easy to track information using this system. "Not as good as Epic, but better than FirstNet"
Ease of note-writing, quicker than other EMRs to populate images from imaging studies. Interface isn't as intuitive as Epic. Often have to tweak my settings to get back to what I prefer (settings reset to standard with each update). We use Centricity mainly for our ER radiology group, and I (ER provider) use it to review images and radiology reads. "Outdated software that has seen better days"
Too much direct typing required, clunky interface, slow to update and support issues. The overall look and feel of the product is very 1990s which is when it was developed and as mentioned above, has not changed much. Consider anything else but don't go with this EMR that is circling the drain. This is our primary EHR. The benefit is compliance with regulatory guidelines. "Terrible way to practice medicine"
There is nothing in particular to like about this product. Never ever invest in this software, it has made my and my colleagues' lives miserable. Not solving any problems, but this software just keeps on adding more problems everyday. No benefits whatsoever, other than satisfying the US government's requirements for clinics. "Basic EMR that lacks essential features of progressive systems"
Software is buggy when launching, loading a blank screen and requiring restart. Unable to type notes, must use dictation service to add notes into system. Lacks beauty and usability of other EMRs. Outside of looking up data, EMR is lacking for adding information in. Organization is not there and the interface is very dated. Electronic collection of medical records, including notes, imaging results, labs. Makes ordering medications, lab work, etc, quicker and simpler. "Used GE Centricity at last employment"
"Centric it’s a pretty good EMS"
"Working with Centricity Practice Solution"
Doesn't give me enough space to put patient information. Should be able to adjust and use the auto verify efficiently. Ability to customize forms to one's liking in several different ways. Lack of IT support from company. And lack of knowledge from support staff. Ability to combine scheduling, reports, and medical records all into one program. None. It is paired with Mac-Lab and integrates perfectly for the users to prepare reports etc. "the best way to keep patient records safe "
having everything in one place is very nice, we are working on getting all of our patient records in one place. "It was a good system "
It was very easy to navigate and was an easy system to use I used it for making patient appointments and it usually worked to my needs. Making appointments and it made it easier versus doing it manually like I had to before. the most positive aspects about GE centricity practice solutions is that it is user-friendly and easy to use. "The worse EMR I have used. " Once you get the hang of it — takes a long time— there are still areas you don’t know. Could be worse. Could crash every day. I like all the different features available and how it integrates with our other softwares. It crashes sometimes which is not the best thing when you are trying to access information. We are scheduling with ease and can easily find the source of how an appointment was created as it is stamped by time and user. It is a through EHR, easily to click through. E-prescribing is pretty inituitive. i think there are better EHRs out there. Learning about Centricity Practice Solution? 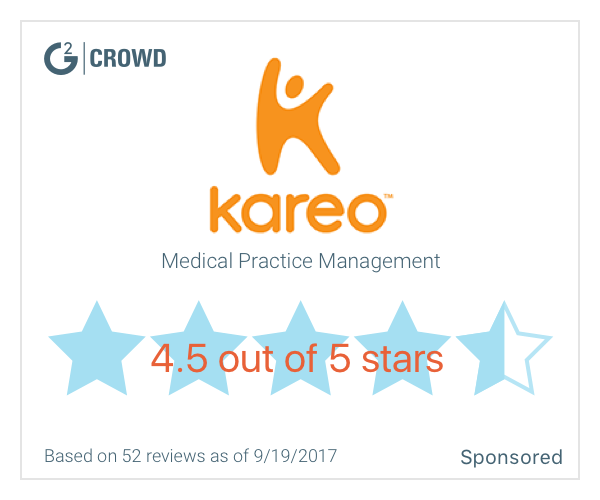 * We monitor all Centricity Practice Solution reviews to prevent fraudulent reviews and keep review quality high. We do not post reviews by company employees or direct competitors. Validated reviews require the user to submit a screenshot of the product containing their user ID, in order to verify a user is an actual user of the product. Hi there! Are you looking to implement a solution like Centricity?